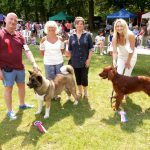 A record-breaking number of dog owners entered their pet for the Battersea Park Dog Show (June 18), raising £803 for the Friends of Battersea Park. 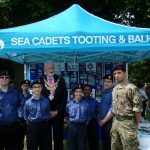 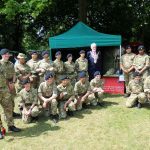 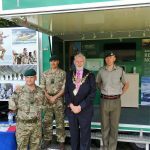 Wandsworth Council’s Battersea Park Dog Show teamed up with Armed Forces to celebrate Armed Forces Day on Sunday 18 June. 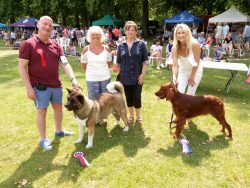 The overall winner of the show was Flora – a five-year-old Akita owned by Robert Stuhldreer and best puppy in show was Fin a 9- month-old Irish setter owned by Kate Milton. 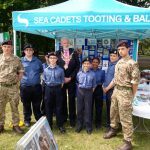 The Mayor of Wandsworth Cllr James Madden opened the event which attracted thousands of visitors. 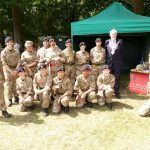 Angela Mitchell and Cllr Nicola Nardelli judged several novelty classes, which included best rescue dog and the Special Armed Forces class – best marching dog. 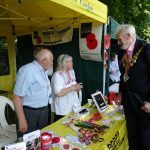 As well as the dog show, crowds enjoyed a funfair, food and drink and stalls, including a stall from The Royal British Legion to raise awareness of their work. 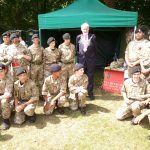 Also in attendance was the London Royal Marine Reserve, the London Regiment and the Wandsworth Cadet units. 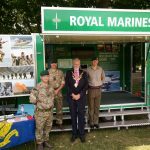 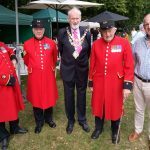 Battersea Park Dog Show is delivered by Wandsworth Parks and Events Police Service, in support of Armed Forces Day on behalf of Wandsworth Council. 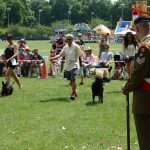 The Parks and Events Police are responsible for the routine patrolling of the parks, commons and open spaces within Wandsworth; the enforcement of byelaws, Dog Control Orders and other park regulations; and the policing of events.